Create supporting materials for a Centrepoint event (a chairty who help homeless young people) where young people speak out about the issues they face. Invites, posters, banners, social media content and flyers were created. A photographer provided portraits of young people who were part of the CentrePoint's Parliament panel who would be at the event. 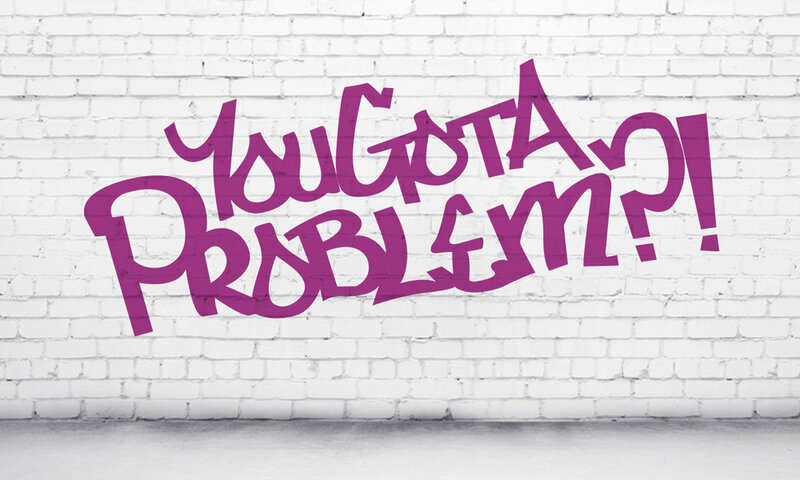 The logo "yougotaproblem" was supplied by the youths. From there collateral was created with an urban feel. The portraits were super imposed onto a white brick background, like they (and their cause) were plastered on walls for public exposure.